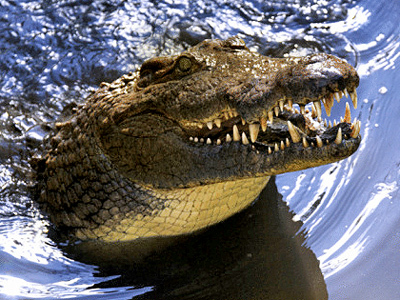 A two-meter reptile has joined the holiday-makers enjoying the cool waters of Shira Lake in Siberia. The reptile was brought to the resort by a photographer who hoped to make some money by offering photo sessions with his sharp-toothed friend. 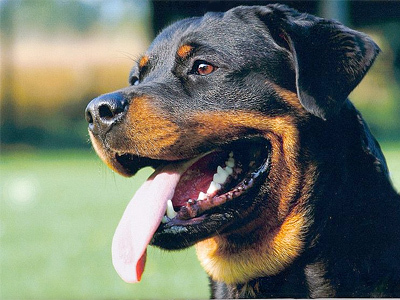 The business proved quite a success until the photographer, tired by the heat, went to have lunch. Alone, bored and hot, the photographer’s two-meter colleague could not resist the temptation to have a bath in the cold water. At first, no one paid attention to the reptile that looked like an ordinary piece of wood drifting across the lake. But when a group of tourists in a boat tried to push “the garbage” away, it turned out to be alive. Luckily for holiday-makers, the reptile had already had its lunch, and beach rescuers were quick to catch the animal and return it to the petrified owner. The photographer received a warning, while the rescuers were rewarded by memorable photos with the happy reptile. 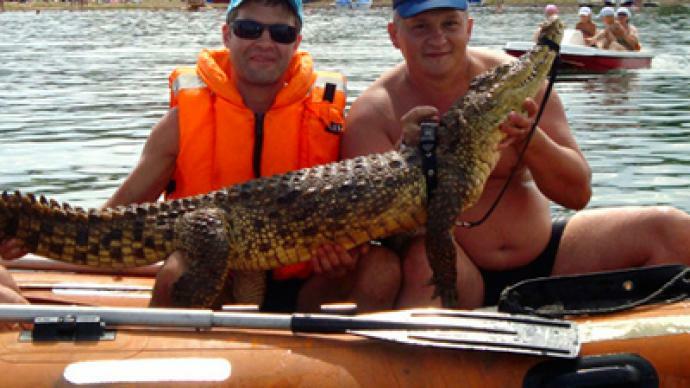 The Siberian crocodile is not the first exotic creature to have fun in Russian waters. 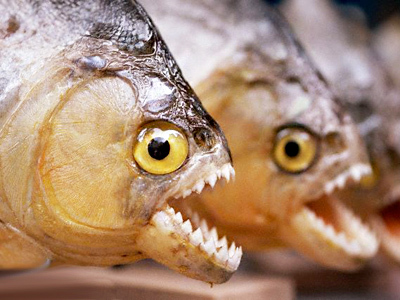 In early June, fishermen caught a couple of piranhas, native to Latin America, in the country’s south. While locals are blaming global warming, scientists say the killer fish could have been released into the river by a disgruntled owner.